The Thai national children’s day (wan dek), the local version of the International Day for Protection of Children, is celebrated in Thailand on the second week of January. For the occasion, various government offices, including major military installations, are open to children and their families. 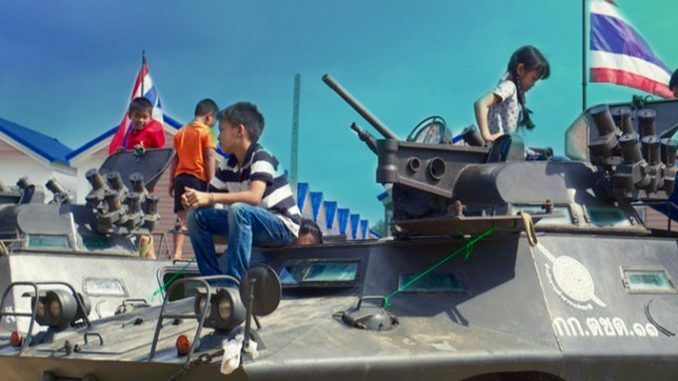 On wan dek in 2014, I went to the Bangkok headquarters of the Royal Thai Armed Forces on Chaengwattana road, where celebration activities for children were taking place, to understand how the public characterization of Thai childhood was staged. 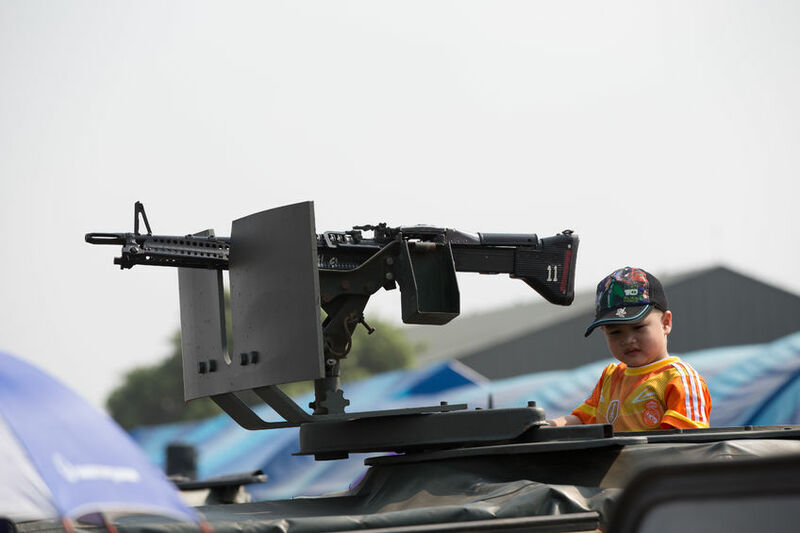 During the day solders proudly showed astonished and exalted children the best pieces of the Thai Army’s military arsenal: helicopters, battle tanks, war weapons of various kind. Similar to their everyday lessons at school, children were almost obsessively taught that to be a “good child” (dek di) is to be authentically Thai – that is to honor the monarchy, Buddhism and the nation. Even during the day formally dedicated to their rights, children were instructed to always be grateful and obey phu-yai (big people). To be a dek di is to emulate the example of Thai soldiers: the nation’s brave and generous defenders, ready to sacrifice for the good of “Thainess” and the national family. Not long after wan dek, these heroes of the nation would topple the democratically elected government of Yingluck Shinawatra. The Universal Children’s Day, whose establishment was recommended worldwide by the UN in 1954, is officially aimed at promoting children’s rights. The UN’s convention on the Rights of the Child, signed by Thailand on the 27th of March 1992, sets out a number of children’s rights, including the right for children to have their views heard in a “horizontal” relationship with adults and to be protected from violence. Now, given this premise, it was curious that children’s day was transformed into an ultra-nationalist military parade. Indeed, to see how war weapons – the quintessential technological materialization of violence – were patriotically employed simultaneously as instruments of pedagogy and as a form of entertainment. What is at stake here is a clear contradiction between two different cultural and political conceptualizations of “childhood”: On the one hand, the western-based juridical definition of children promoted by UN agencies in Geneva and only formally acknowledged in many both western and non-western countries. Such definition highlights children as full human beings who have the right to freely express their views on all matters affecting them, – On the other hand, the local militarized portrait of the Thai “good child”, as an obedient and loyal subject subordinate to both adults and the will of the nation itself. As social scientists have shown, “childhood” is not a fixed universal experience. Conceived as a concept, childhood is a social construction, a set of historically and culturally specific ideas, practices, interpretations of the first years of human beings’ life which divergently interact in defining what “childhood” is and should be. This is conceived of differently by different societies and at different times (James and Prout, 1997). At the same time, in the context of modern nation-states, “the birth of a child is a political event” (Handwerker, 1990:1). By virtue of being the tomorrow’s citizens, children are often considered not-yet complete subjects to be socialized, educated and moralized in order to ensure the continuity and reproduction of normative social, moral and political order. 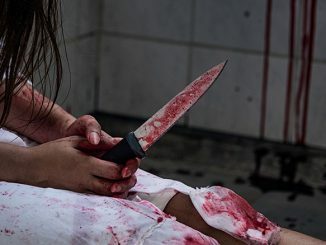 Their minds and bodies are thus at the center of public debates about ethnic purity, national identity, and the transmission of fundamental cultural values in schools – the state’s primary institutional device for the fabrication of “normal childhoods”. As a matter of fact, public interventions and policies addressing children reflect precise projects of governance, visions of the world, and arrangements of citizenship (Scheper-Hughes and Sargent, 1998). 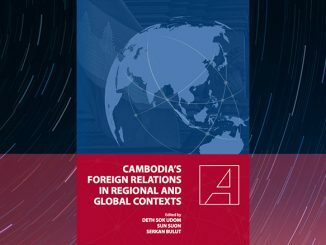 The discursive, aesthetic and ritual framework of wan dek, and the ways in which the public concept of childhood is elaborated in this context, reveal the ideological and institutional apparatus deployed by the Thai state in its attempt to construct a desirable childhood. Moreover, being focused on children, the event also symbolically offers a vision into state projects of the nation’s political future and its ideas of proper citizens yet to be. The militarized and hyper-nationalistic setting of both children’s day and Thai school system are historically comprehensible if we consider that their modern establishment took place during the military dictatorships of field marshal Phibun Songkran (1938-1944; 1948-1957), the father of Thai ethno-nationalism and “Thainess”, the fundamental discourse about national identity. Rather than being subjects of rights, Thai children are the subjects of duties. Indeed, the song composed specifically for Children’s Day – “the child’s duties” (nathi khong dek), even known as “oh child, good child” (dek oei, dek dee) 1 – plays haphazardly throughout public spaces all along the day. Introduced in the 90s, the song reports a list of ten duties the child must fulfill in order to be considered good. These include: uphold Buddhism, keep with Thai tradition, be grateful and obey parents and teachers, behave according to the nation’s principles and for its prosperity and development. Besides almost caricaturing a kind of nationalist fanaticism, the song highlights some important dimensions of the Thai normative conception of childhood and of children’s moral position within family. First, children are inserted in hierarchical (as opposed to horizontal) relationship with adults. They are the passive recipients of the adults’ knowledge and morality and must be obedient, polite and grateful. Second, the song reflects Buddhist concepts of bun-barami (merit), karma, and kathanyu (gratitude), which are used as moral bonding agents connecting the sacredness of parents with the obligation of children’s obedience and gratitude. Finally it emphasizes the role of school teachers – the first state officials children meet along their path into society – strategically redrawn as near parents. 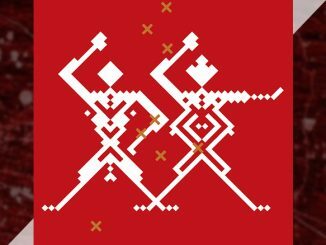 This way their figure symbolically works as emotional link between the family and the nation-state. If we consider children and adults as respectively symbolizing citizens and authority, then we can fully appreciate the political implications of such a construction of childhood. The ideal child, like the citizen, should be passively prone to welcome parents’ (state authority’s) superior benevolent knowledge and abilities. Only by doing so, each child-citizen will harmoniously fit the Thai socio-moral and political hierarchies. The entanglement between the language of power and that of kinship is historically and cross-culturally well documented. The place of children within the family and in relation to parents, in particular, has been a strategic locus of symbolic investment in monarchical, hierarchical and patriarchal societies. One might think of Confucian filial piety in China, or consider the symbolic triangular sacralisation of God, King (God’s representative in the world) and Father (God’s representative within family) at the basis of the ancien régime Catholic absolute monarchies in Europe. 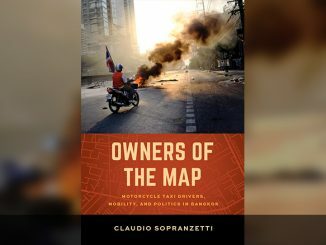 In the specific case of the paternalist monarchical cosmology, which the Thai socio-political and religious order is historically grounded, the moral paradigm of benevolent parenthood is embodied by the royal family with respect to which citizens-subjects are grateful sons and daughters. The King, often designated by the term pho (father), is described not only as the supreme embodiment of Buddhist dharma but also as father of the nation. After the fall of the absolute monarchy (1932) and the rise of military nationalism, childhood became even more charged with political meanings. 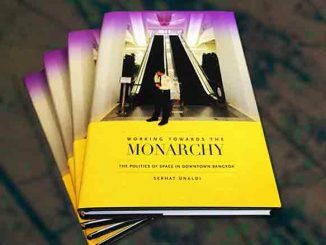 Under the “despotic paternalism” (Thak, 2007) of field marshal Sarit Thanarat (1957-63), in particular, the moral authority descending from the monarchy was rehabilitated to promote a representation of the nation as family and of citizens as its children. Father’s day falls on the King’s birthday, for example. Indeed, this notion is such a mundane part of life in Thailand that a recent cycling event held in honor of the King was called simply “Bike for Dad”. In this way, schools are like militarized political laboratories for the creation of the child-citizen formulation. Within schools kids practice ethno-nationalistic rituals of hierarchy and “Thainess” via top-down teaching methods and by learning moral lessons stressing their status of “small people” (phu-noi) and the importance of their devotion to the family and, by extension, the nation’s “big people” (phu-yai). Phu-noi, however, are not only children but, more generally, anyone relating with big people (phu-yai). Children in relation to parents, laity to monks, as well as citizens to the state’s representatives, are phu-noi who must demonstrate absolute loyalty, respect and gratitude to phu-yai, of which the King is the highest referent. Within sakdina, the feudal system of pre-modern Siamese society, the term phu-noi was officially used to describe lower rank people or commoners with respect to nobility and higher rank people. 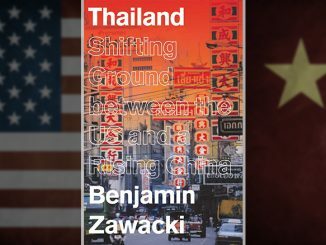 The widespread informal usage of these hierarchical labels in today’s Thailand reveals the social persistence and relevance of the “sakdina ideology” into the (only) formally democratic structures of the modern nation-state. The changing conceptual nature of childhood is linked to shifts in the political and socio-cultural spheres. 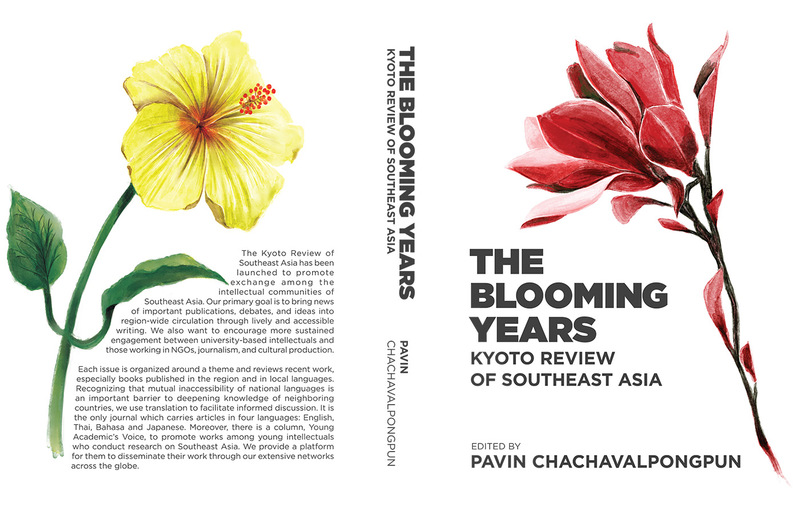 Even in Thailand, the post-war radical social transformations brought about by fast-flowing processes of modernization, economic development and democratization seemed to have paved the way for a new idea of children and their relationship with adults. An outcome of this can be identified in the 1999 Thai Education Act, especially one of its more symbolically meaningful innovations: the so-called child-centered learning method. The latter aims at promoting children’s participation, critical thinking, and the right of expression in the scholastic setting. It was officially conceived to recalibrate, in horizontal terms, student-teacher relationships and highlight children’s (rather than teachers’) centrality. The democratic administrations of both Thaksin Shinawatra (2001-2006) and his sister Yingluck (2011-2014) were particularly committed to promoting child-centered learning methodologies, technologically advanced didactic tools, and to acknowledging regional ethno-linguistic specificities in the elaboration of scholastic curricula. The May 2014 military coup, through which former Thai army chief general Prayuth Chan-ocha toppled Yingluck’s government, put an end to the jointly unstable trends towards political democratization and progressive re-interpretation of children as individuals with rights. Besides enforcing martial law, summoning activists and academics for “attitude adjustment”, and extensively restricting civic and political rights, interestingly one of the military junta’s first official interventions was to introduce a new daily nationalistic ritual for students to be performed daily in all the country’s schools: before classes, students have to sing a new national song on the “twelve key values (khaniyom) of “Thainess”” 2. The first of the twelve military-designed values recommends the good children to preserve and worship the sacred triad of monarchy, religion and nation; another primary important value, not surprisingly, is kathanyu: the gratitude children owe to parents and teachers. 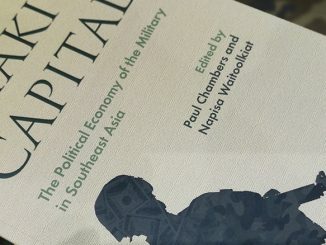 Prayuth-headed military junta seems intent on pursuing an attempt of “restoration” in which the governance of children at school and the public usage of political meanings of “childhood” articulate with the resurgent strength of the monarchical paternalism of “Thainess”, and its military grammar, in the wider society. 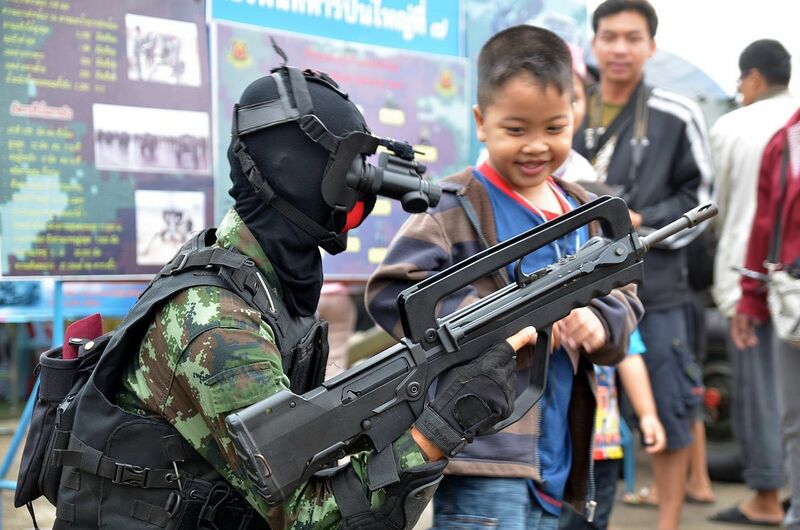 It seems likely that children’s duties – rather than children’s rights – will continue to be at the core of the Thai public conceptualization of childhood, and that adults holding war weapons will still play a major role in the next Thai children’s days. 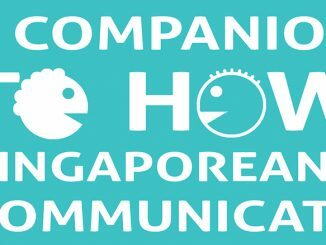 Great article, thanks for sharing knowledge. I am a British citizen who learned the same song Dek Oei Dek Dee at a British international school in Bangkok in the early 1970’s, latest 1973.